We are specialized on SAAB and VOLVO. We also provide service for all other car brands! We perform all maintenance and repair works of Saab, following the instructions of the WIS (SAAB Workshop Information System). Principle: Whenever possible and at the customer’s request, the car can be repaired on the same day. We use subcontractors for car body works, tinplate works and paint jobs and mainly insurance cases for Saab cars. Troost Auto has been the official user of Castrol products for since the establishment of the company. 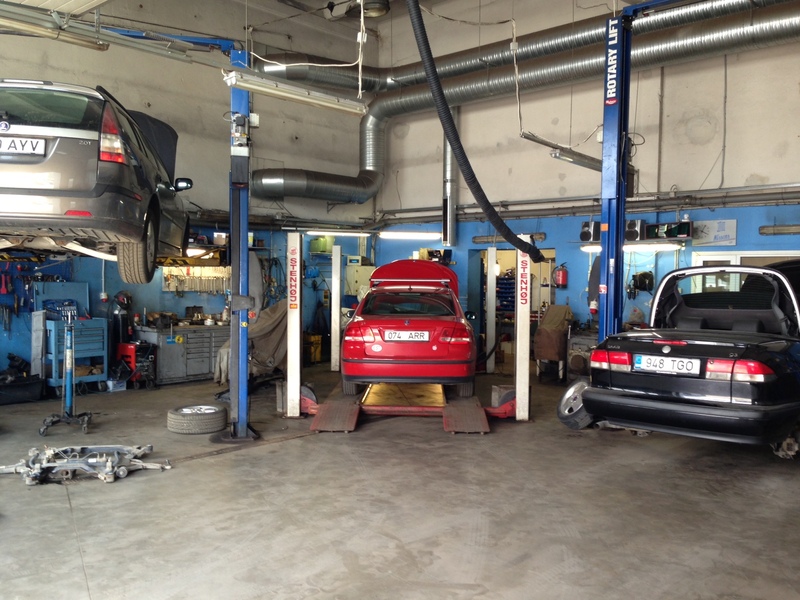 We recommend that you perform the regular maintenance provided by the car factory! Troost Auto is a certified ALLDATA user. ALLDATA provides original information from spare parts manufacturers – diagnostics and repair. Troost Auto is a certified Autodata user. Autodata provides accurate technical information for car diagnostics and repair. Any error finding or defecting is DIAGNOSTIC. Preparatory work for adjusting the bridge or any additional work that appears is not subject to regulatory work. Additional work is remunerated on the basis of the cost of maintenance. Repairs with the customer’s own spare parts will be MORE EXPENSIVE. To avoid unnecessary time consuming and to ensure that the necessary spare parts are correct and spare parts are also warranted, we advise the customer not to purchase the spare parts by themselves. The time lost due to a customer error is included in the repair time.